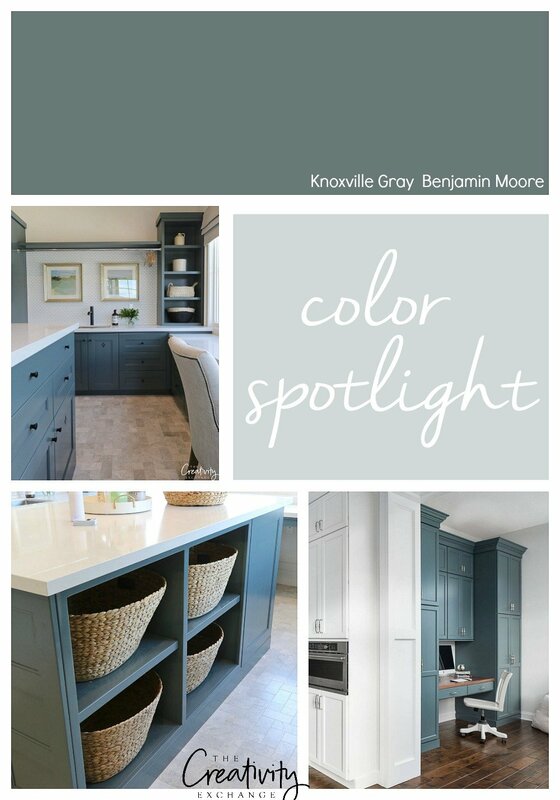 It’s been awhile since I have done a Color Spotlight and today I wanted to highlight Benjamin Moore Knoxville Gray, which is a breathtaking moody color that I have fallen in love with this last year. I recently specified this color for clients and I wanted to share it with you guys as well so you can put this gorgeous hue on your radar. 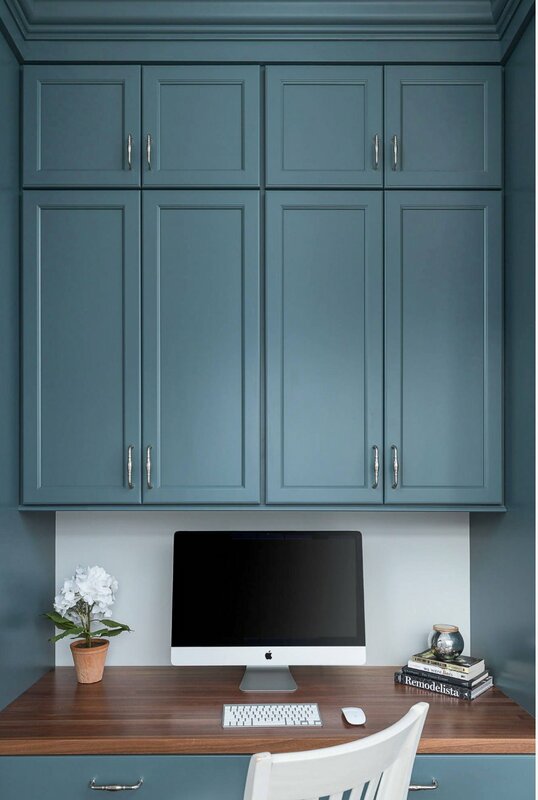 We’ve been talking a lot lately about how darker moody colors are trending this year, not only in the 2019 Color Forecasts and Paint Trends predicted by the paint companies, but how we’re also starting to see these dark rich colors on cabinetry and accent walls in new construction. 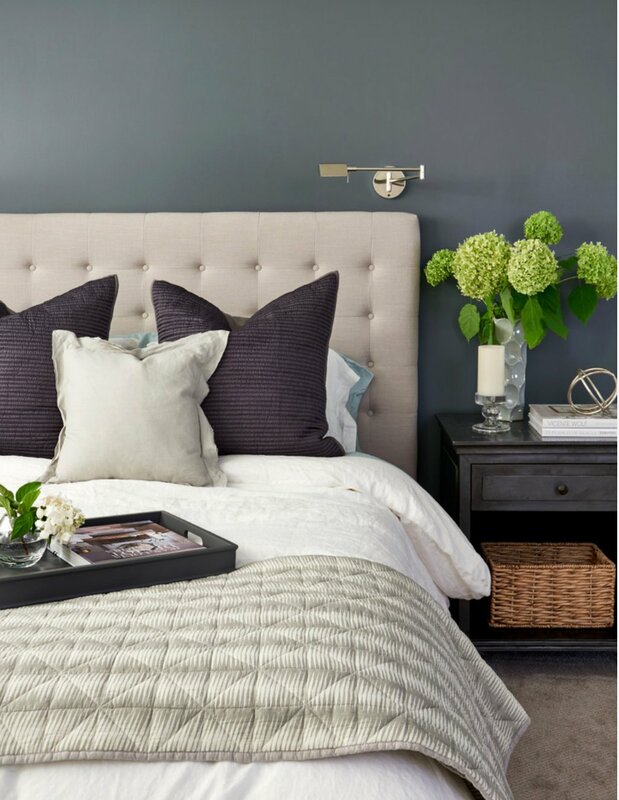 Benjamin Moore Knoxville Gray epitomizes a moody color because it has a balanced mix of warm and cool undertones with a dark richness. 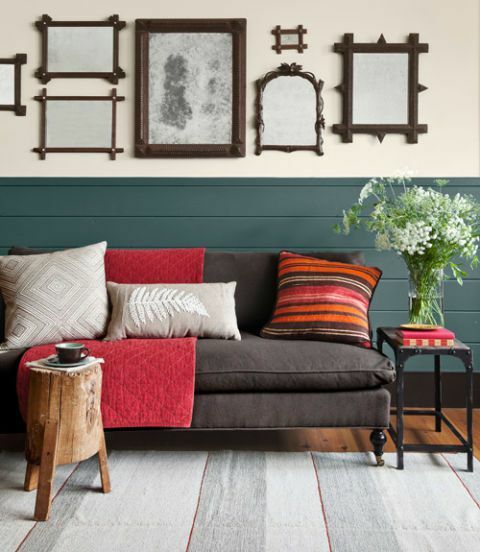 This versatile color will never fall flat and will add instant depth and character to any space. 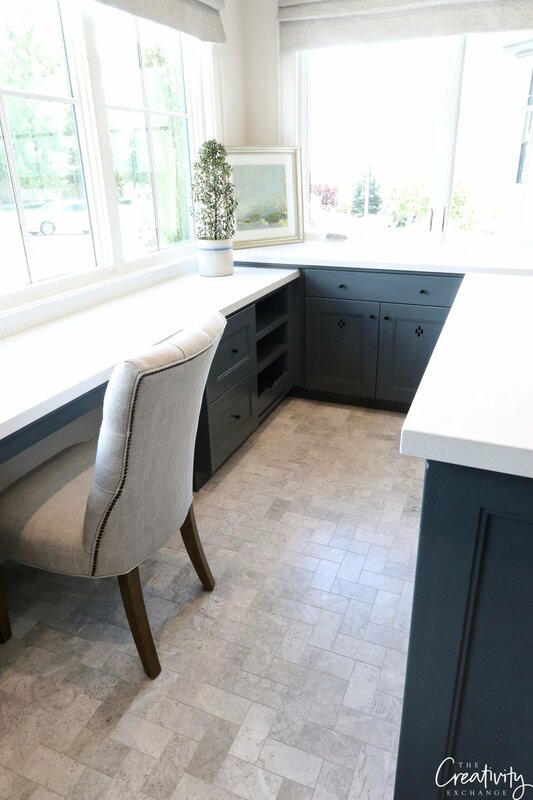 I first spotted Knoxville Gray last year during the 2018 Utah Valley Parade of Homes in the gorgeous multi-purpose laundry/office/craft room space in the Raykon Construction home. 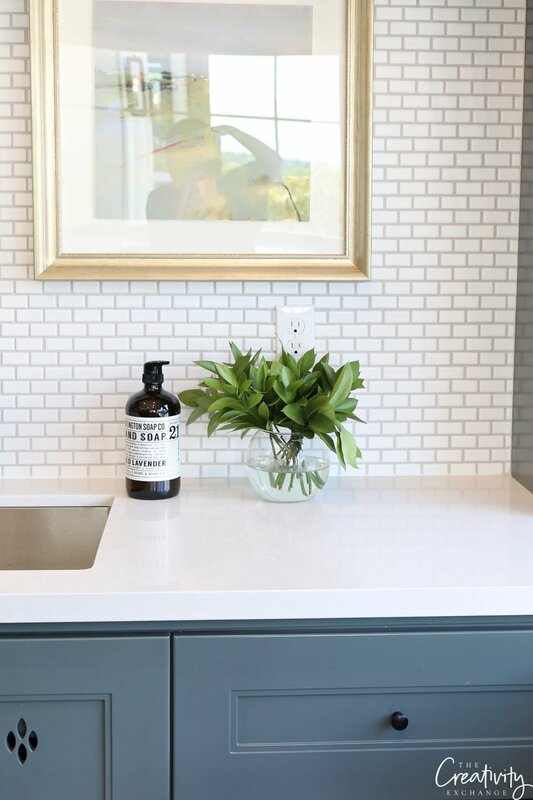 I fell in love with the color instantly color because in person, Knoxville Gray has so much depth and surrounded by white and an abundance of of natural light in this space, Knoxville Gray just popped. 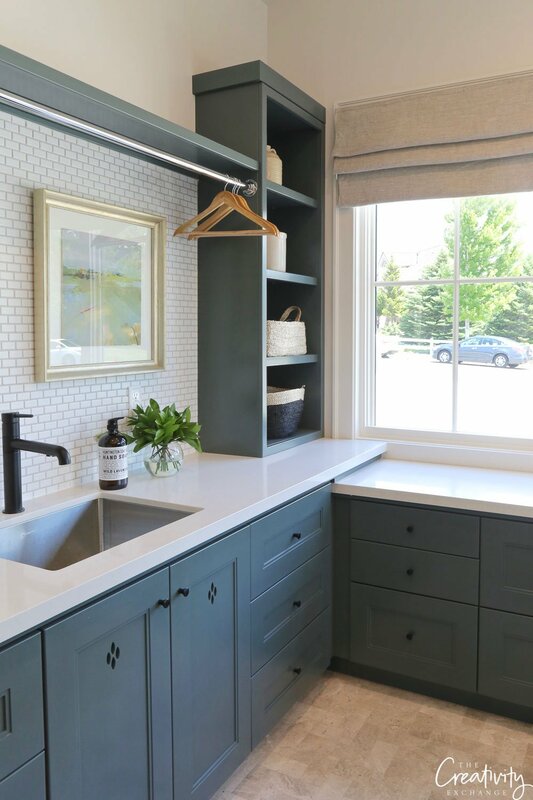 In fact, even though this home is more than 10,000 square feet and loaded with jaw dropping design details, the talk with all the parade home visitors was how amazing this color was in the laundry room! Knoxville Gray was the star of the show for sure! 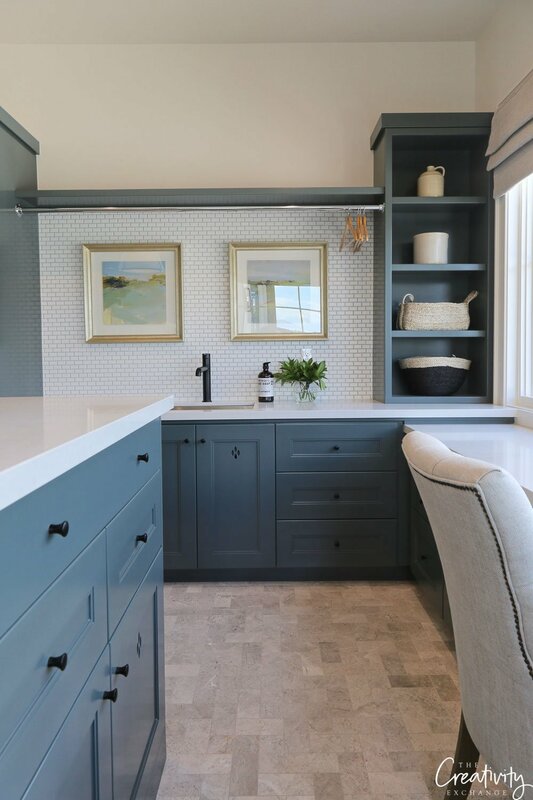 Knoxville Gray has is such a stunning mix of green/blue/gray and keep in ming that “chameleon” colors like this that have that green/blue/gray mix will lean blue when there is an abundance of natural light and will lean green in spaces with little natural light. 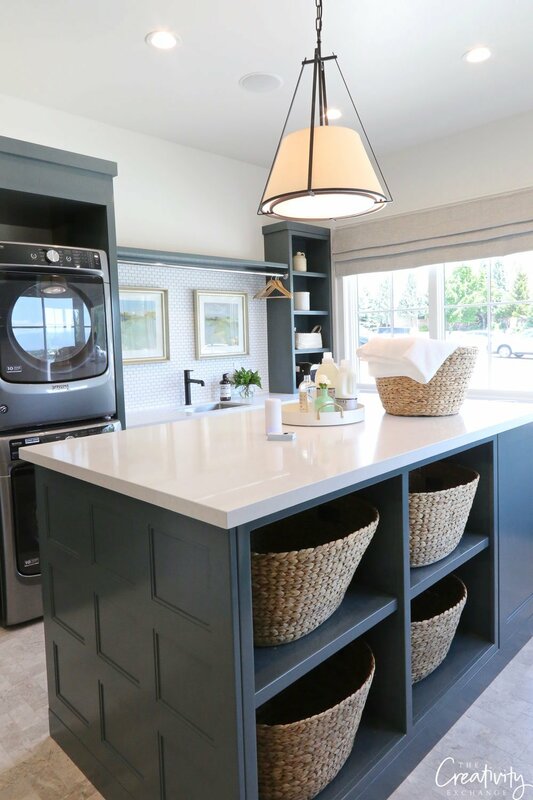 So, notice how Knoxville is leaning blue gray in the Raykon laundry room because of all the natural light flooding through two very large windows in the space. In the space below, Knoxville Gray is leaning green because there is little natural light. 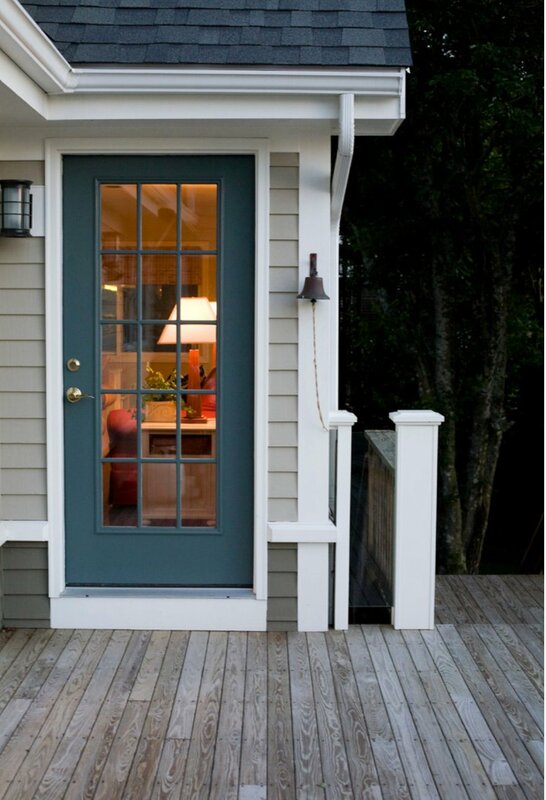 You can see below that Knoxville is leaning more green on the exterior door below because the photo was taken at dusk without that flooded natural light. I’m sure during full sun, the door leans blue. 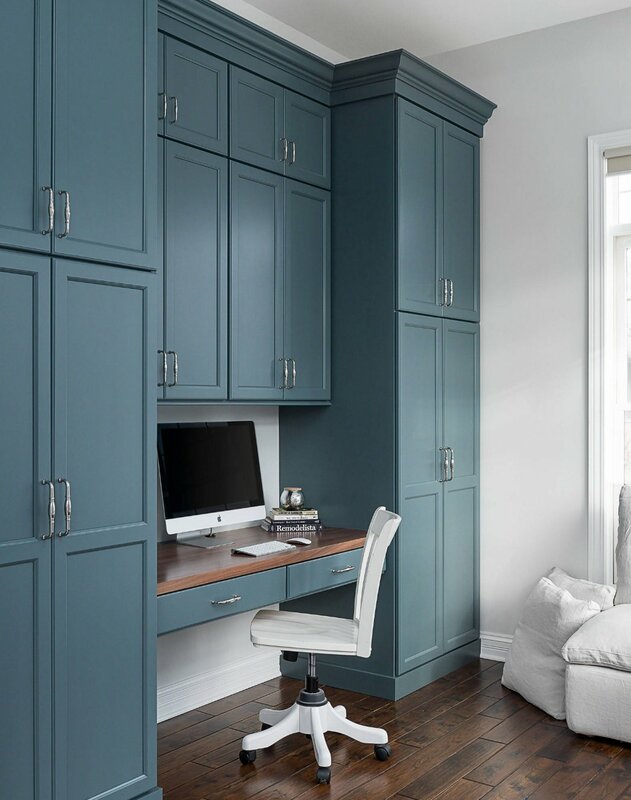 The cabinetry painted with Knoxville Gray in this small office space below is leaning blue because of the large windows to the right of the desk and I suspect there is second window directly across from the desk as well. Just look at that gorgeous color! 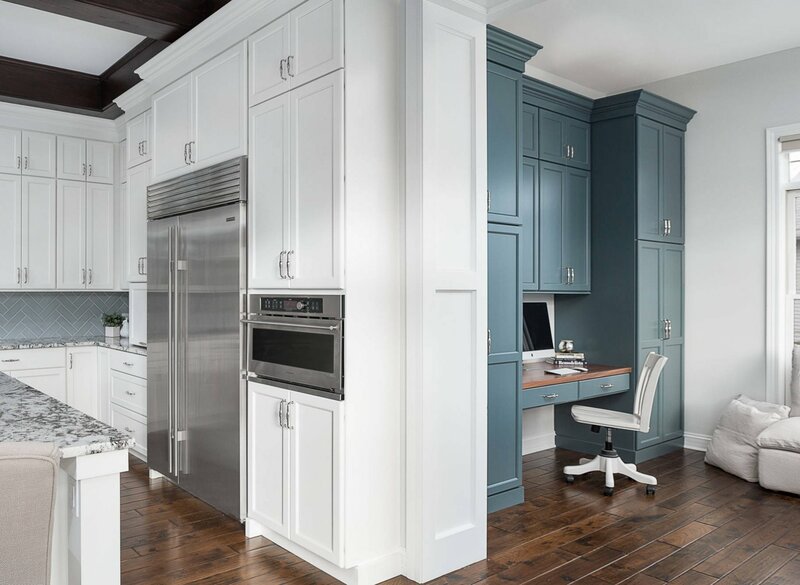 Redstart Construction hit a home run with this office space that is right around the corner from the kitchen. I just wanted to share this with you because see how Knoxville just steals the show in this space surrounded by white and tons of natural light flooding in this area. Below you can see a close up of the Redstart desk area, which you can see more of that green and gray undertone. 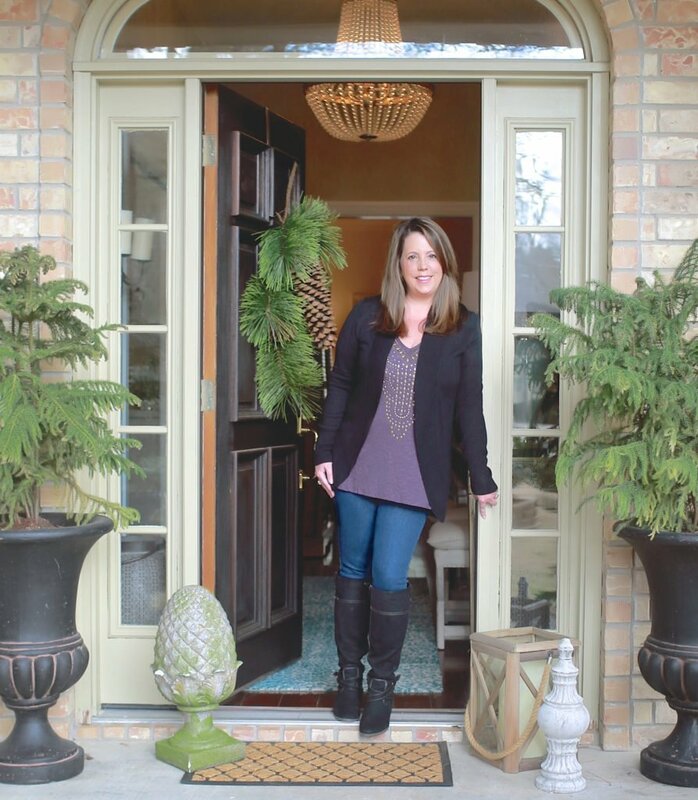 On a side note, I am so inspired by Redstart Construction’s portfolio (they are based out of Illinois if you need a contractor) and if you’re interested in seeing more, you can look through their gorgeous projects here. 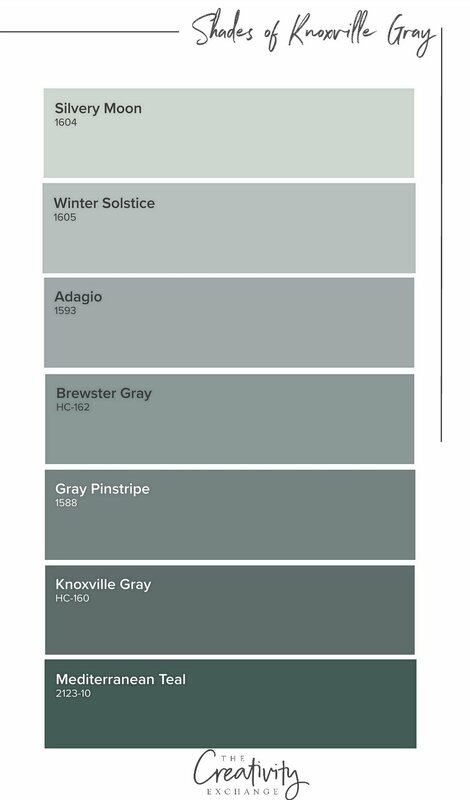 If you ever want to know what colors/undertones make up a color that you are consider, you can either look at the full color strip of a color from the fan deck or if you’re considering a Benjamin Moore color, you can click “shades” under the your color and you can see all the shades. This helps because if you look at the darkest shade of a color, you can see the undertones better. 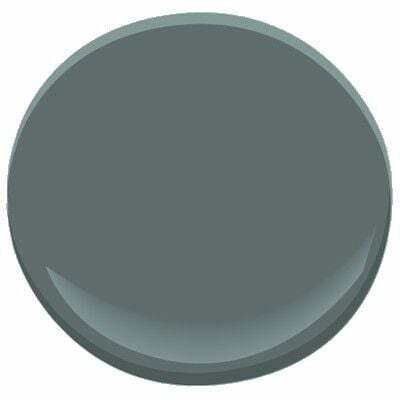 Below are the shades Benjamin Moore listed for Knoxville Gray. Notice that the darkest color is a teal, which tells you that Knoxville undertones are green/blue/gray. 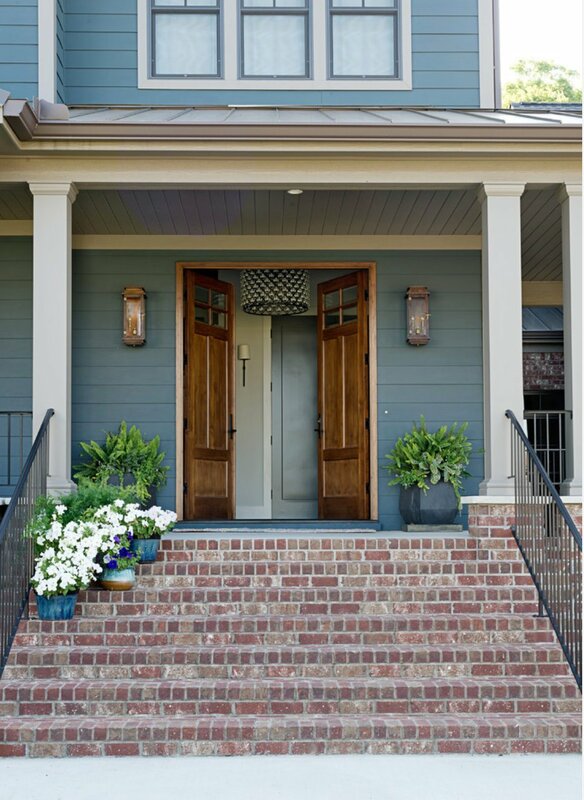 During my research of Knoxville, I ran across this beautiful home that was painted in Knoxville Gray and I really love how this color looks on the exterior. 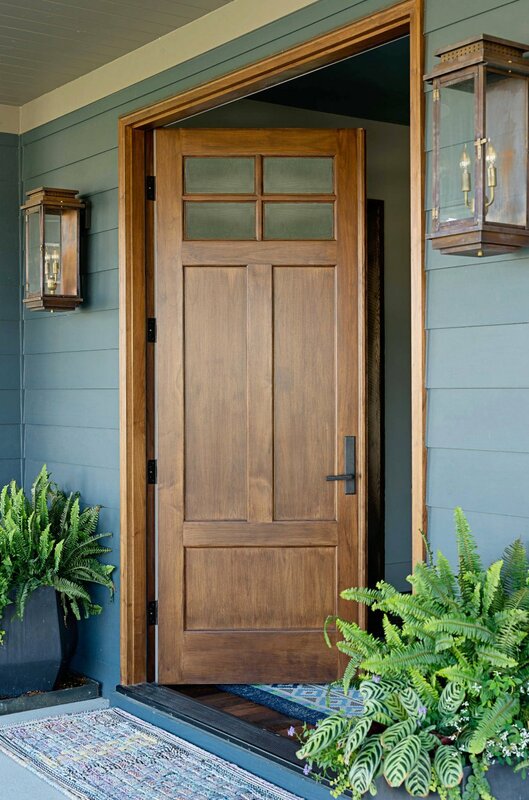 The designers really nailed this color palette on this home with Knoxville Gray mixed with off white/cream trim and the natural wood. Really stunning! Below is a bedroom with very little natural light and Knoxville looks more gray with slight green leaning. So have I convinced you that you need a little Knoxville Gray in your life? 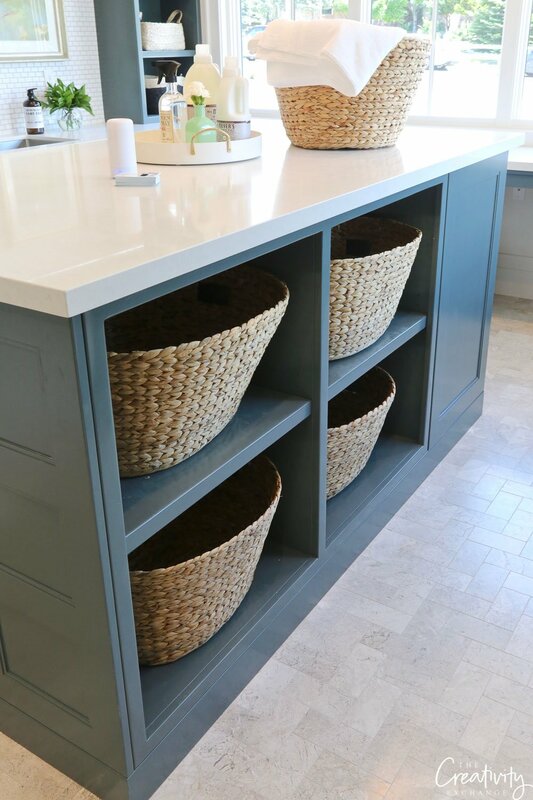 I have recommended this color several times now for cabinetry for my clients and everyone is so happy with the choice. I’m looking for a spot for Knoxville in my own home! 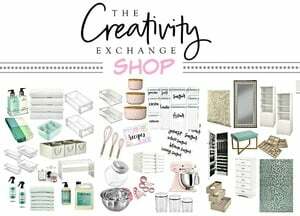 Thanks for stopping by today and if you want to see my past Color Spotlights, you can look through them all here. Wow that is a beautiful color and versatile to. Always enjoy your blogs . The thing I enjoy the most is how you always pick warm/ cool paint colors !! !